One of the unique aspects of CNA certification in Florida is that you don’t have to complete a state-approved training program before taking the certification exam. However, the Florida Board of Nursing recommends training beforehand. Miami is home to multiple training programs ranging from a few hundred to a few thousand dollars. A huge network of hospitals across the city also provides training for free to candidates who decide to stay on as employees. Failure to pass the competency exam in the first three attempts will disqualify the candidate from reexamination. Therefore, it’s worthwhile to consider enrolling at any one of the CNA training institutes below. The nursing assistant program at Genesis Vocational Institute trains students in all the critical aspects of long term patient care under the direction of a Registered Nurse. The structured curriculum also adequately prepares graduates to sit and pass the state’s Nursing Assistant Certification exam. Classroom lectures cover safety and emergency procedures, basic anatomy, physiology and medical terminology, post-operative care, HIV/AIDS education, law and ethics, CPR, rehabilitative and geriatric care and nutrition. Forty hours of clinical training at a medical facility give students the opportunity to put their knowledge into practice. GVI is a licensed testing facility for the state exam, so students can take the exam at the school. Students enrolled in the nursing assistant program at Florida Vocational Institute gain a clear understanding of all aspects of long term patient care. They learn techniques to bathe, feed, monitor and assist their patients and perform CPR and other emergency procedures when needed. The 168 hours of training includes 128 for lectures and labs and a 40-hour externship at a top-rated facility. Students must wear appropriate medical attire throughout the 7 weeks of training. Tuition costs $780 and includes registration, books and supplies, and other fees. The Nursing Assistant Competency Exam, issued at the school, costs an additional $140. The school recommends that students purchase a Practice Guide for the Nursing Assistant/Home Health Aide for $75 to help with preparation for the exam. Dorsey’s Educational Center facilitates a comprehensive 1000-hour (10 months) nursing assistant training program that prepares students for employment as CNAs. Full time and part time options are available to meet the needs of busy adults. Applicants must have a high school diploma or GED equivalent, pass reading, math and language tests, and pass the pre-admission interview conducted by the school’s guidance counselor and program instructor. Upon completion of the program, students will have the knowledge and skills to pass the state certification exam. Contact the center for details on tuition and class schedules. The nursing assistant test prep program at the School of Continuing Education is a 90-hour program that includes theoretical instruction and skills prep to give students the skills to succeed on the state certification exam. Course topics include medical terminology, patient rights, communication, HIPPA, personal safety, infection control and vital signs. Classes meet one day a week for three months. Tuition for the program is $675. 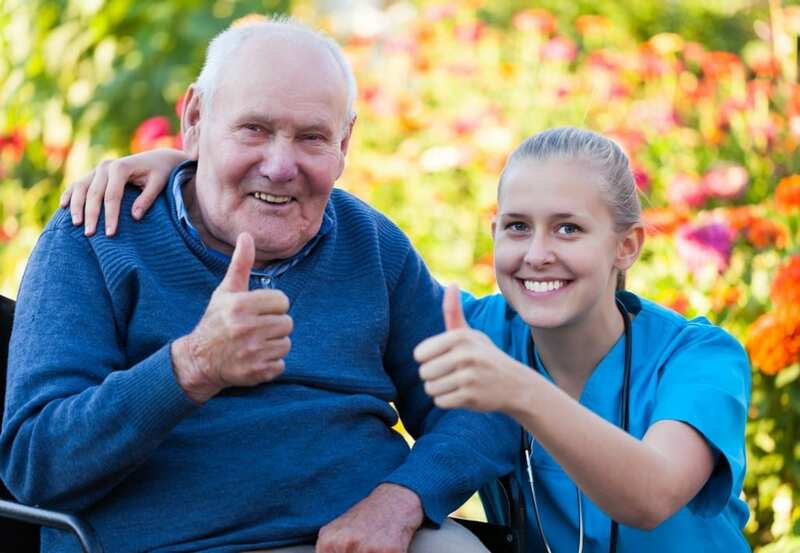 Abba Healthcare Training offers flexible and convenient nursing assistant training schedules. Morning classes are 10:00 am to 1:00 pm. Evening classes are 6:00 pm to 9:00 pm and weekend classes are Friday 6:00 pm to 9:00 pm and Saturday from 9:30 am to 11:30 am. With a high pass rate, students can be assured of success on the state exam. However, students who fail the exam can return for training at no additional cost. The course tuition of $397 includes tuition and unlimited support. Abba Healthcare will also process graduates’ application for the state exam. The Nursing Assistant State Exam Prep program at Jackson Training Center includes all the elements of the state curriculum to prepare students for success on the certification exam. Instructors use lectures and hands-on demonstrations to help students develop the knowledge and skills to care for patients/ residents. Students learn about patient rights, the aging process, acute and chronic stages of diseases, rehabilitation, communication, and maintain health through the aging process. Other essential topics include patient safety, HIV/AIDS, OSHA/Infection Control, abuse and domestic violence, and dementia and Alzheimer’s disease. A live instructor will cover the 21 basic bedside skills. Jackson offers flexible day, evening, and weekend programs, classes in English and Spanish, small class sizes, excellent pass results, and an interest-free payment plan. Students who fail the state exam can retake the course at no additional cost.